These are open txt files. Feel free to do whatever you want with them. HBS ; thanks for SRR wich is a pleasure to play and mod. 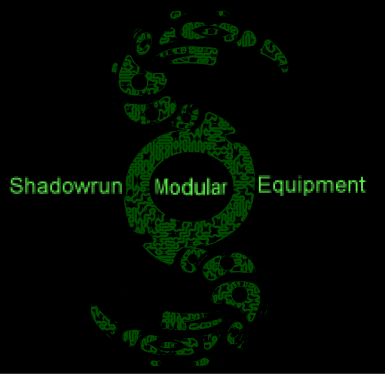 Thaxor (from the Shadowrun Universe forums): which has great ideas ! Tracker for his inspiring work. On this page you'll be able to download each of my SME modules in text and bytes format. There will be a discussion tab dedicated to each one of them. Feel free to leave any comments: even critics are good to hear ! What is a SME module ? 1/ Compatibility: each SME modules are compatible with each others. This means they will have their own dedicated theme. Also, they should not overwritte anything yet in the game, nor they shall use limited ressources (like blanck status conditions). 3/ Open Source and No Monopoly: each SME module's txt files will be published somewhere (here on Nexus sounds good), as a shared ressource for further modifications. So anyone can take those files, modify them (completely or even slighty, it doesn't matter) and re-publish it under their name (Eg: Myname's SME Chi Casting). This is totally fair since the goal of SME modules is to offer as much options as possible to the users ... variety and choices are good !